Simple Mail Transfer Protocol is an Internet standard for email transmission across Internet Protocol networks. 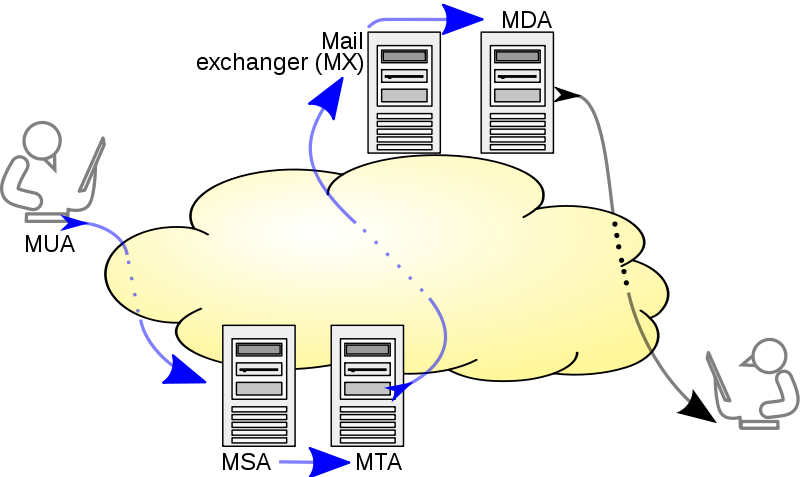 SMTP was first defined by RFC 821 (1982), It use TCP port 25. SMTP was updated by RFC 5341(2008), It use TCP587. It is known as ESMTP and is the protocol in widespread use today. Mail server and other transfer agent use SMTP to send & receive email. whereas User level client mail application use SMTP to send an email and for receiving email they use Post Office Protocol (POP) or the Internet Message Access Protocol (IMAP) or aLotus Notes/Domino to access their mail box accounts on a mail server. Email is submitted by a mail client (MUA, mail user agent) to a mail server (MSA, mail submission agent) using SMTP on TCP port 587. MSA delivers the mail to its mail transfer agent (MTA, mail transfer agent). Free Testing Email Address Without Phone Number.